Sometimes, only a minivan is really up to the job. During those times, you turn to the 2017 Honda Odyssey. Crossovers may have taken over from the minivan for some people as the regular "go-to" family vehicle, but the Odyssey beats even the best crossovers for sheer practicality and flexibility. For example, the cargo capacity when you want to take a weekend camping trip in the Roseville area, or its ability to seat up to eight in comfortably hard to beat. So, let's see what those who might be tempted to overlook the Odyssey because it’s a minivan would be missing out on. The Odyssey was given a mild refresh in 2014, which brought in a six-speed automatic transmission across the lineup, a new sleeker look for the exterior, a lightweight aluminum hood and front fenders, a twin-bar grille, and a redesigned lower front fascia. The Honda also now features integrated fog lights and darker-finish projector headlight housings, while smart LED rear taillight bars are an attractive available option. As practicality will always be the number one priority for any self-respecting minivan, there's only a certain amount that can be done to make them more stylish. Despite those limitations, Honda has done seriously well with the latest Odyssey as its now easily one of the best-looking minivans you can currently buy. The cabin of the Odyssey is what makes it the perfect family transporter as Honda has paid a lot of attention to every aspect of this interior. It's as comfortable and luxurious as you could hope for, but stays away from being so opulent you'd be obsessed with the everyday spills and scrapes of family life ruining things. The dash layout is nice and straightforward with large, easy to use knobs and buttons, which are a lot more user-friendly than having to negotiate complicated touchscreen menus for everything you need. Being able to seat up to as many as eight people is the headline talent of the 2017 Honda Odyssey, and that alone puts it way ahead of all but the biggest and most expensive crossovers. But it's the way the seats can move and fold in so many different ways for any number of creative seating and cargo space combinations that really puts it ahead of its SUV rivals. In fact, the Odyssey can go from a cargo van sized 90 cu.-ft. of cargo space with all the seats folded down for transporting those occasional large objects, to an eight-seat people carrier with endless combinations in between. And with family-friendly conveniences such as an in-car vacuum, a rear entertainment system and even a special rung for hanging a trash bag, this is about as family friendly as things get. If any vehicle is going to have its safety credentials high on buyers' list of priorities, it's going to be a minivan. Thankfully for the Odyssey, safety is yet another important area where it more than passes the test. 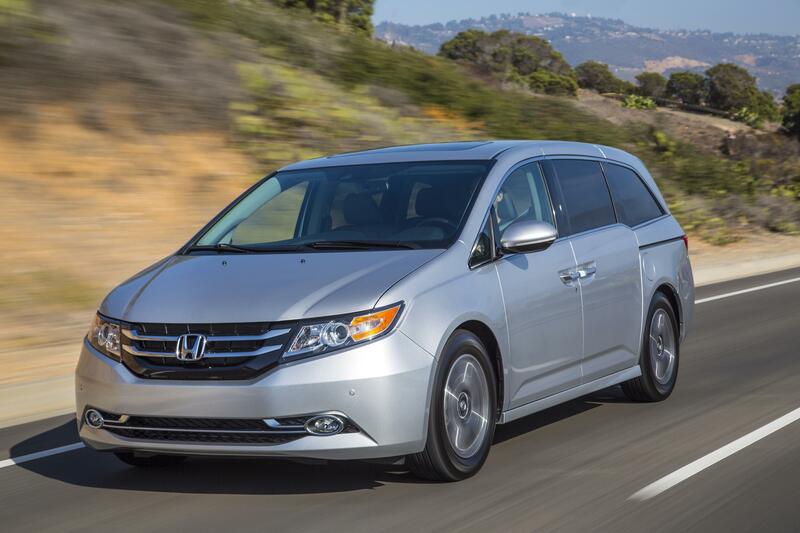 The federal and independent testing authorities have given the 2017 Honda Odyssey great ratings, with every version coming with all the airbags and the other essential safety features you'd hope to see in a modern family vehicle. Go up the trim levels to the higher specification models and some very advanced safety features become available, such as forward collision warning and lane-departure alerts. Reach out to us at Mel Rapton Honda if you would like to schedule a test drive, or simply would like more information.